Usher's stepson has been declared brain dead after he was struck in the head and knocked unconscious during a boating accident, according to reports. Usher Raymond's 11 year-old-stepson was injured while riding in an inner tube on a lake in Georgia. Usher Raymond's 11-year-old stepson Kyle Glover has been declared brain dead following a tragic jet-ski accident in Georgia on Friday afternoon, WXIA reported. Family friend Jeffrey S. Hubbard of Atlanta is under investigation for the collision, according to the New York Daily News. Alcohol ws ruled out as a factor, and investigators do not believe the accident was due to a mechanical malfunction, Sgt. Mike Burgamy with the Georgia Department of Natural Resources said. Kyle, the son of the R&B singer's estranged Tameka Foster, and a 15-year-old girl were sitting on an inner tube, which was being pulled by a boat on Lake Lanier, when they were struck in the head by a jet ski, E! News reported. Kyle and the girl were air-lifted to Children’s Healthcare at Egleston Hospital in Atlanta, with the boy's injuries being more serious, the Atlanta Journal Constitution reported. 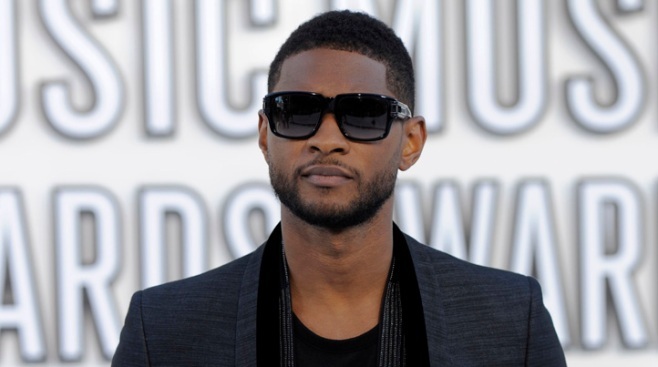 Usher's celebrity pals have already taken to Twitter in an outpouring show of support. "Everyone PLEASE pray for Usher and Tameka's son! This is the time they really need your prayers," singer Fantasia Barrino tweeted on Saturday. Though Raymond and Foster are currently going through a divorce and custody battles, he reportedly chartered a jet to take her to her son’s side. Raymond and Foster have two children together, Usher Raymond VI, 4, and Naviyd Ely Raymond, 3. Kyle is one of two sons Tameka had by Atlanta clothier Ryan Glover, according to the Daily Mail.